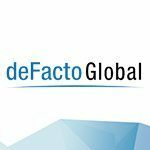 deFacto is a completely unified, analysis and planning product that offers the full range of capabilities users need including modeling, forecasting, drill-down, drill-through, what-if analysis, reporting, and more. deFacto end-users can literally create reports in Excel from scratch, in seconds, that are live against the deFacto database. Here users can easily change slicers and refresh, as well as do things like drill-down and drill through. So you get all the benefits of Excel, including any formatting you already know and love, but without all the formulas and lookups. It’s the best of both worlds! Have you ever been in a situation during the budget process when someone said “I don’t know where that number came from. It wasn’t me…” All that is now history with deFacto’s auditing capability. Any value that gets entered is tracked by who changed it and when. Even better it tells you what value it was changed from as well. Simple calculations like variances and more complex calculations like foreign currency, cash flow, even things like multi-tiered allocations are all done within the deFacto database engine and all built into deFacto Planning. This minimizes the need to use Excel formulas and, more importantly, minimizes the opportunity to “fat finger”. 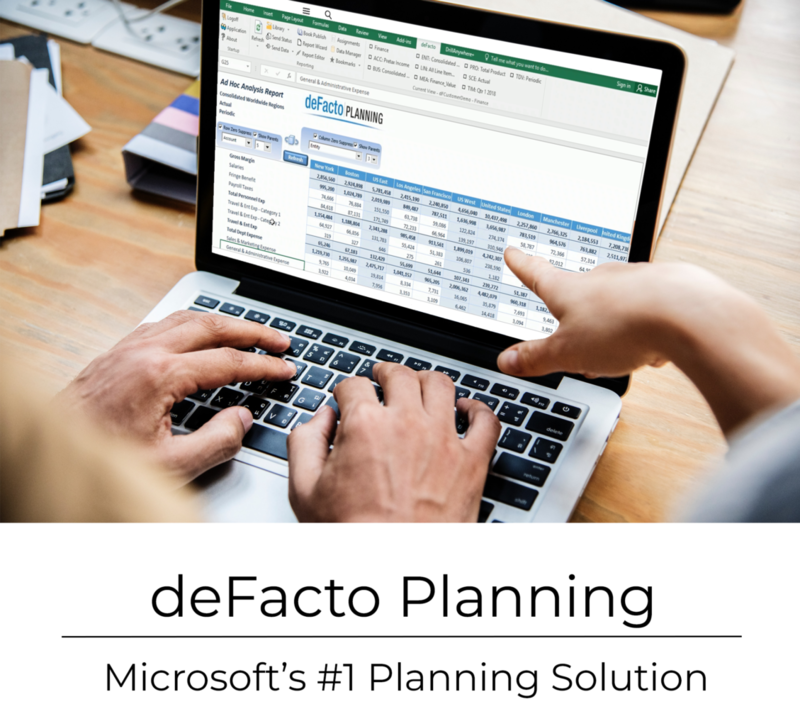 deFacto has worked closely with Microsoft to build a seamless integration between deFacto Planning and the Azure Machine Learning platform for the generation of predictive forecasts based on your actual data stored in deFacto. Much like a manual forecast that is stored in a scenario within deFacto, such as “January Forecast”, the Machine Learning forecast gets loaded into its own scenario (e.g. ML Forecast) for easy analysis and comparisons to other scenarios like actual, budget, etc. 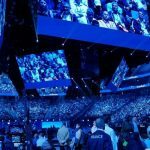 Microsoft has invested and will continue to invest in the Cloud with tools such as Power BI and Office 365. deFacto Planning takes full advantage of both these applications. Even better, unlike our competitors, you don’t need to load all your data into deFacto to serve it up in a dashboard. Power BI can point to other data sources as well as natively point to deFacto offering our customers the most strategic BI investment. deFacto Global’s Chief Operating Officer, Anthony D’Anna, discusses everything deFacto, including five key ways deFacto Planning out performs the competition.